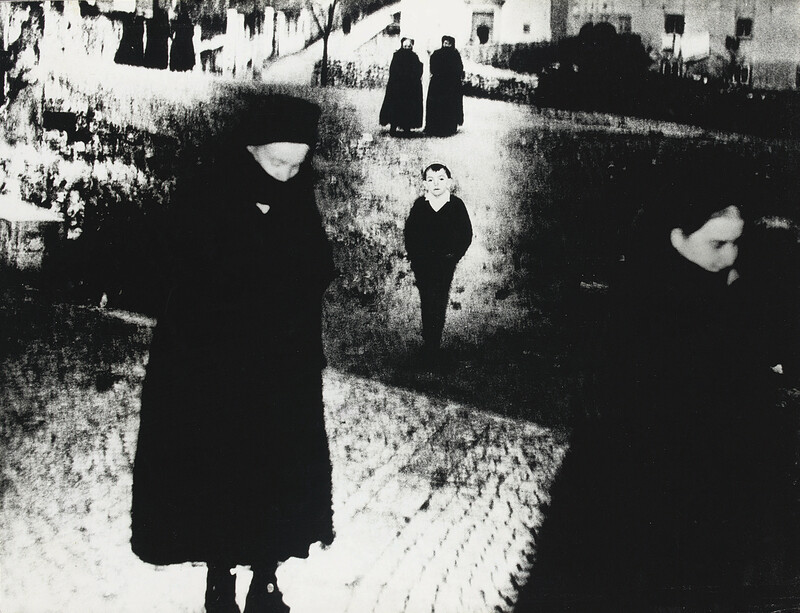 Mario Giacomelli was a prolific image-maker from the mid-1950s until his death in 2000. A self-taught photographer, he had little concern for archival storage of his work, often letting prints pile up in disorderly stacks around the darkroom. The present owner, a friend and fellow photographer, learned to print with Giacomelli in his darkroom. This and the following six photographs (lots 41-48) were gifted by Giacomelli to the present owner in the 1960s. The seventh, lot 48, was gifted in the mid-1970s. Szarkowski, Looking at Photographs: 100 Pictures from The Museum of Modern Art, The Museum of Modern Art, New York, p.185, dated '1963'; Mario Giacomelli, The Friends of Photography, Carmel, 1983, p.42, dated '1959'; Mario Giacomelli: Prime Opere: Vintage Photographs 1954-57, Photology, 1994, p.14; Frizot (ed. ), The New History of Photography, Könermann, 1998, p.629; Crawford, Mario Giacomelli, Phaidon, 2001, p.295, no.20. Fig.1: According to Simone Giacomelli of the Giacomelli Estate, the photographer began using the 'via Mastai 24' credit stamp, which includes a postal code, in the mid-1960s. It is not the individual photo that's important to me, but the series, the story.